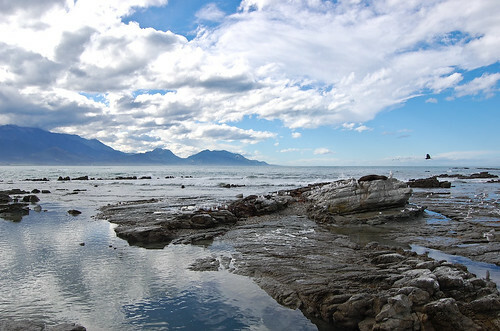 Located on the scenic west coast of New Zealand’s South Island, Kaikoura is a major destination for international and domestic tourists. 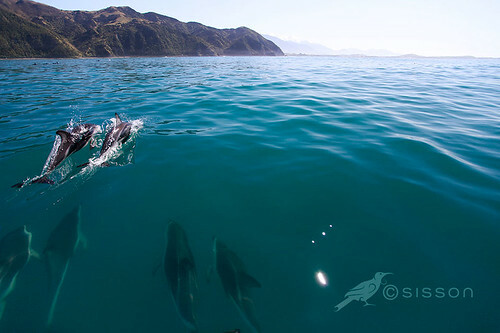 A town set between a dramatic mountain range and a rugged coastline, Kaikoura is an ideal location for sightseeing in New Zealand as well as a popular destination for an abundance of activities that take advantage of the area’s unique landscape and wildlife. Try these activities to get a real sense of what this surprising little town has to offer. 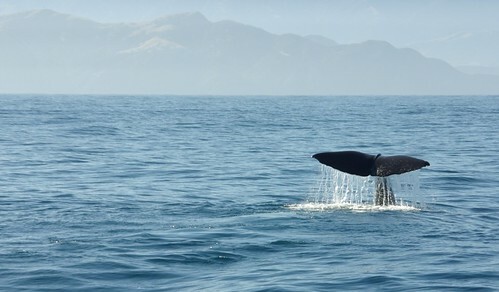 The most famous activity in Kaikoura is the whale watching. 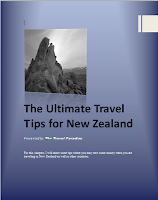 Other activities recommended are Kaikoura Kayaks, Visiting Winery and Maori tour. Whale watching is the most interesting activity in Kaikoura, the is a company provide the service for this watching activity, WhaleWatch, they operate everyday. The fare charge is NZ$145 for adult, NZ$60 for child. The team provide a good service and you will be certainly impressed by the team actually. The tour guide was funny and entertaining but also knew his facts. Sometime is depending on the weather and luck, you are not guarantee than you can close-up to see the whale or able to see the whale (most of the time is able to watch). A member of staff will explain clearly about what would happen during the trip and also fill you all in on what had been seen that morning. She will make it very clear that although there is a good probability of finding dolphins and whales, there were no guarantees as nature does not always. However, there is refund available if you can not see whale. The best part of the experience is the dolphin pod you can see, you may see 40-50 of these beautiful dolphins dive, do flips, play around the boat and then head off again if you are lucky enough. Bear in mind that, some of the visitors will get sea sick. You are not available for this activity if you have sea sick problem. However, the crew on board certainly will do a good job in helping those who are not well. The staff were friendly and a seasickness level warning was both on display and given verbally. You may need to purchase sea sickness tablets from the pharmacy just around the corner (don't rely on the herbal remedy sold in the shop) - and although some of the other passengers on the trip will get sick. Another activity is worth to join is swimming with dolphin. Dolphin Encounter provide this service to public. The package is about NZ$165-170 for adult, NZ$150-155 for child, the minimum age is 3 years old. Tour time in summer is 5.30am 8.30am 12.30pm; winter 8.30am 12.30pm. Dolphin Encounter is very professional, knowledgeable and will makee the whole trip easy and fun for visitors. The guide is full of enthusiasm and expertly manage selecting wet suit gear for visitors. There are many dolphin, you may see and swim with over 200 dusky dolphins in the trip!! One you are ready, you will be dropped in the middle of a pod of a few hundred dolphins and play with them for about 45 minutes. Dolphins are everywhere. If you're worried about being afraid... don't. It's such an amazing experience you wont have time to be scared. The dolphins are playful and curious. Most of the negative comments focus on the sea sickness. Because this is the real deal, you have to handle about a 45 minute to an hour boat ride out into the Pacific. If you get sea sick, though, just go to any pharmacy in New Zealand. They sell the sea sickness patch over the counter.